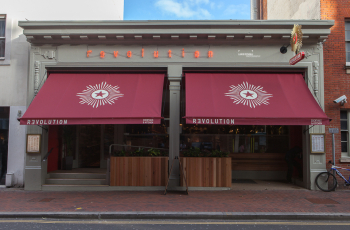 Revolution is a funky venue set in the heart of Reading city centre, only a minutes walk from the station. By night, Revolution transforms into a social paradise, where no two nights are the same. With resident DJ's, club nights, theme parties, corporate events and even have the chance to become a cocktail expert with our infamous Cocktail Masterclass. Every night of the week is a party!